A plane from Fort Lauderdale, Florida to Montreal was delayed for three hours Tuesday night after a passenger’s attempt at humour backfired. 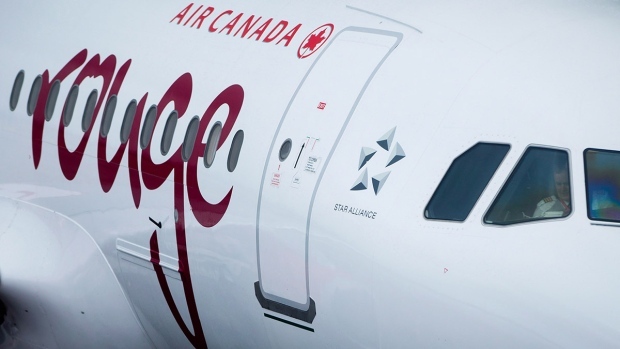 Bell Media journalist Raphael Rivard who was on board Air Canada Rouge flight AC1609 reported that a 54-year-old woman made a joke to an Air Canada employee that a bag in an overhead bin contained a bomb inside. The joke was not taken lightly. A bomb squad was called in and the plane had to be evacuated as security dogs combed through the plane. The bomb squad analyzed the baggage and determined there was no threat. Air Canada confirms the passenger was removed from the flight and detained by police for making an unfounded threat. The plane landed at Trudeau airport at 4 a.m.